After years of struggling with this site, due to my lack of web experience, I hasten to add, I have ask Dale Moore to design a new site for me. That site is now up and running and if you are a follower or have just found this site please go to http://www.thevaughanthrillers.com Hope to see you there. This entry was posted in Uncategorized on June 18, 2017 by Richard V Frankland. This is the title of my authors talk and on the 14th January it was my pleasure to deliver it to fellow members of the Royal Air Force Yacht Club. I started the talk with a very perceptive observation of writers that is sadly unattributed. ‘When you become a writer your heart and mind become divided between your many selves.’ Anon. An artist displays a two dimensional image that offers not only the image but also a glimpse of themselves. Novelists in most genre present you with not only an image of the scene and conversation but a window to their imaginings and deepest thoughts and feelings. I hope that any members of the club reading my books will not be too disturbed by my darker side. This entry was posted in Uncategorized on January 16, 2017 by Richard V Frankland. This entry was posted in Uncategorized on March 9, 2016 by Richard V Frankland. 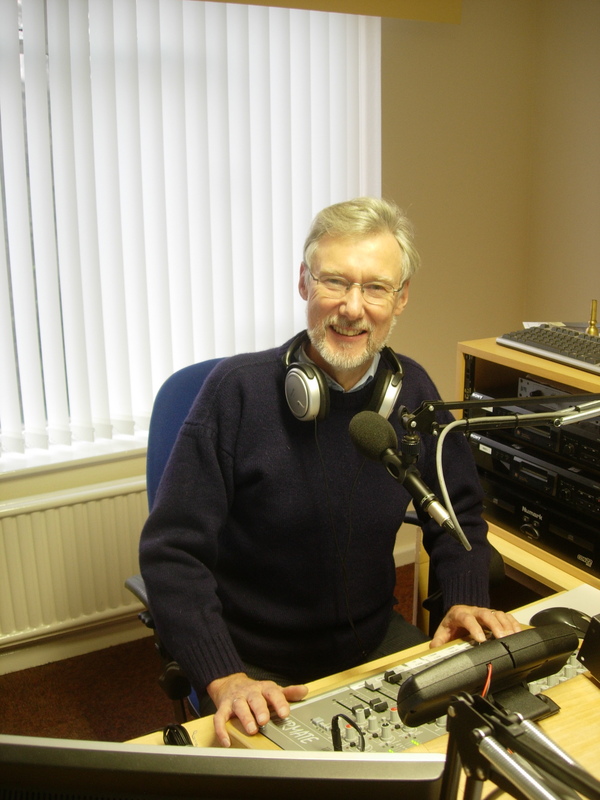 This morning I enjoyed a special event, that of being interviewed by Moorland Radio’s Mervyn Gamage on the Breakfast Show. To my delight I discovered that Mervyn was a great fan of the Vaughan Thrillers after having read ‘A Cast of Hawks’ during a holiday in Madeira. Hooked, he has followed my books and the Ian Vaughan story from that day to this. As a regular visitor to Madeira it was fortuitous that his last visit coincided with his reading of ‘Shadows in Sunshine’ that is actually set in Madeira and a scene from which takes place in a similar hotel suite to his. It was in a way nice to learn that the scene was good enough to have him searching on the carpet for blood stains. It was great being on the show of such a popular local radio station. For readers of this page who live in the Staffordshire area but who have not yet found Moorland Radio, tune in on 103.7 FM to keep in touch with local news and events. The Breakfast Show presented by Tony Mullins and Mervyn Gamage goes out every Saturday between 7am and 10 am. Enjoy, I know I do. 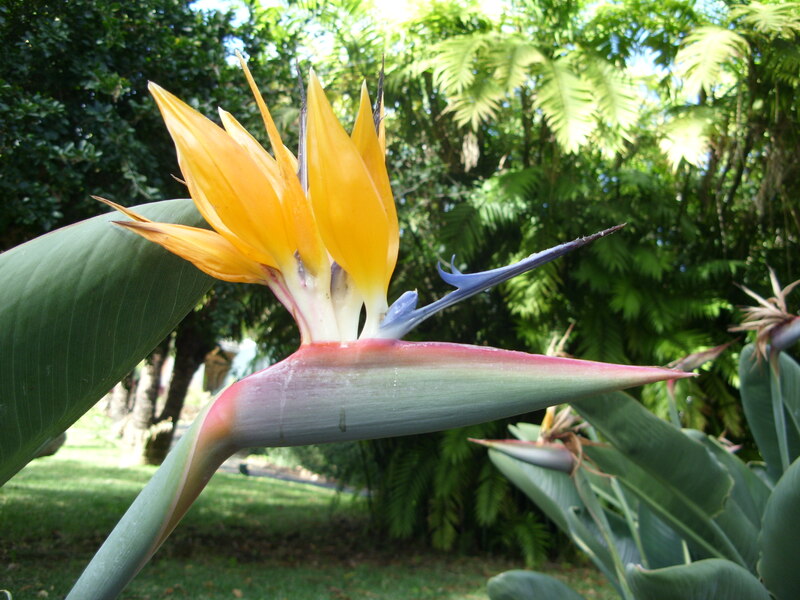 This entry was posted in Shadows in Sunshine, Uncategorized and tagged Good holiday reads, Madeira, Moorland Radio, the Vaughan thrillers, Thrillers on November 21, 2015 by Richard V Frankland. 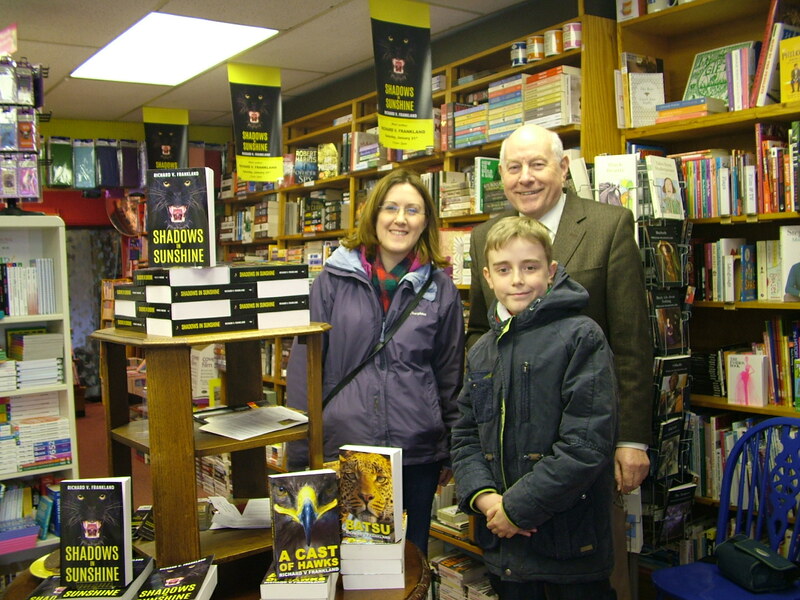 The 31st January, 2015 was the day ‘Shadows in Sunshine’ was launched. 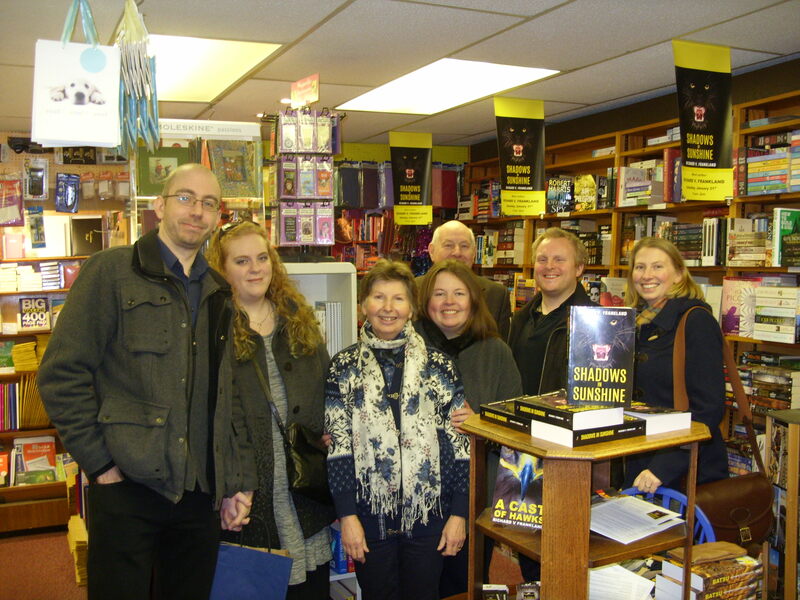 The event took place at that great independent bookshop run by Rick Barter. Those that haven’t visited Lee-on-the-Solent I can assure you that it is worth making the trip just to visit ‘The Book Shop’ in the town’s high street. 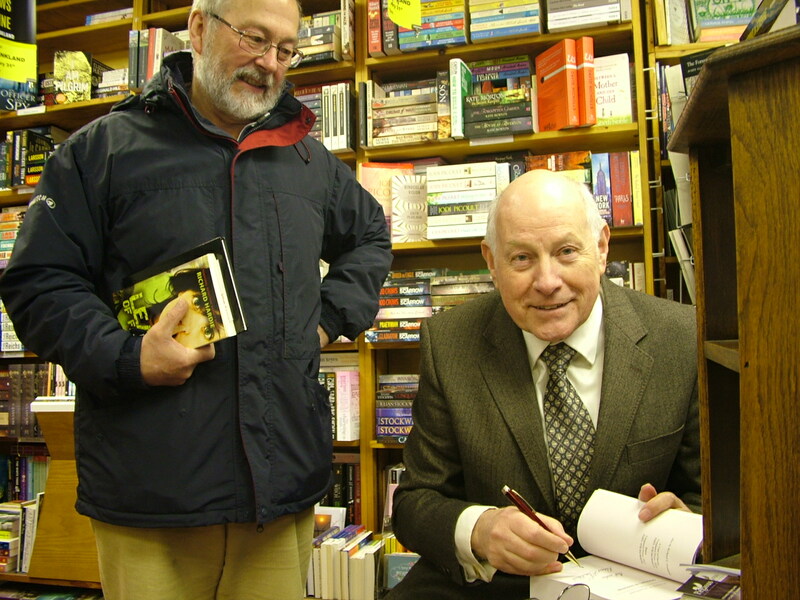 The number of people who braved artic winds and freezing temperatures in order to obtain a copy of ‘Shadows in Sunshine’ on the day humbled me; thank you one and all. The great success of the event owes much to the loyal followers of Ian Vaughan’s career and it was nice to discuss the plots and characters in the previous books with those that came, as well as introduce them to new readers. All in all it was a really good day. This entry was posted in Uncategorized on February 1, 2015 by Richard V Frankland. A few weeks ago I received back from my publishers the first edit/proof-read of ‘Shadows in Sunshine’. Pleasingly there was not too much red ink on the pages, and most was to point out silly mistakes of mine. At each correction or comment, however, I found myself reading, not just the line or phrase, but the whole page, and more than that I started to look intently at the phrases, feeling the urge to change a word here and a word there. Before I knew it I was engaged in that nightmare in which I felt obliged to phone the publisher and tell him to wait another two years while I rewrote the book. Sanity returned in the form of my wife, who also acts as my ‘in house’ proof-reader and harsh critic. “I do like this, you’ve got Al Djebbar’s opening speech just right,” she said. So I put the thesaurus away and returned to concentrating purely on my publisher’s marks and comments. As an author I must learn that I will never be wholly satisfied with what I have written and will always look at other writers work in admiration of their phrasing, but it is their phrase and story line, not mine, their words, not mine. So I will save the game of ‘pedantic semantics’ for my next manuscript and hope when that comes back from the first edit/proof-read that I will be less inclined to enter that nightmare world of self doubt. This entry was posted in Uncategorized on September 2, 2014 by Richard V Frankland. beautiful paradise in the Atlantic. I still think that the concept was good, but trying to blend a thriller with beautiful gardens, fantastic scenery and charmingly friendly people has one balancing on two if not three stools at the same time. I tore up plan A. Plan B was to write a political intrigue with some romance woven in. Having written many pages I finally had to admit that my hero does thrillers and the slower pace did not fit Vaughan’s character. I tore up plan B. Plan C came to mind, utilising a single plot that would allow Vaughan to enjoy some sightseeing as part of the action. 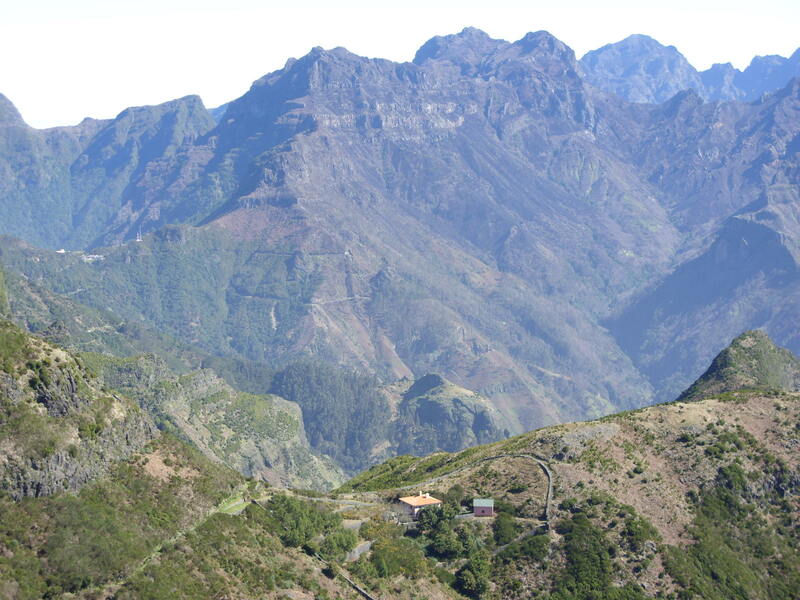 Then came our third long holiday in Madeira and a chance remark from a friend there. Suddenly a second plot appeared and fitted so well with the first it removed the tourist brochure angle, down which I was heading, almost completely. I found it nigh impossible to write pages of glowing description about the wonderful tress, fabulous flowers, and awe inspiring scenery with my hero racing to prevent the worst from happening. I just hope that the little I have said about this idyllic island is enough to encourage readers of ‘Shadows in Sunshine’ to pay it a visit. With such beauty and awesome splender how can anyone resist wanting to see it for themselves. This entry was posted in Uncategorized on June 12, 2014 by Richard V Frankland.